A Week Ago — The Listening, Inc.
On election night, after an anxious evening of checking the polls every fifteen minutes, I gave up, continued to rock my son to sleep, and eventually fell asleep myself. I figured, what will be will be. Why lose sleep about it, right? I woke Wednesday morning and asked my wife who won. She mumbled something, still working through a haze of sleep herself, and asked if I "even have to ask", as if I should already know. It that was supposed to be a hint, it didn't help. Like many voters, I spent this election season in complete confusion. With no clear distinction between the two leading candidates, there was no way to really know who the victor would be. In addition, my last memory of the polls had it going to either Clinton or Trump in the 11th hour. My wife said nothing as she let me search for the results on my phone. As we all know, Google reported that the next president of the United States of America would be Donald J. Trump. It's been an interesting week of emotions. 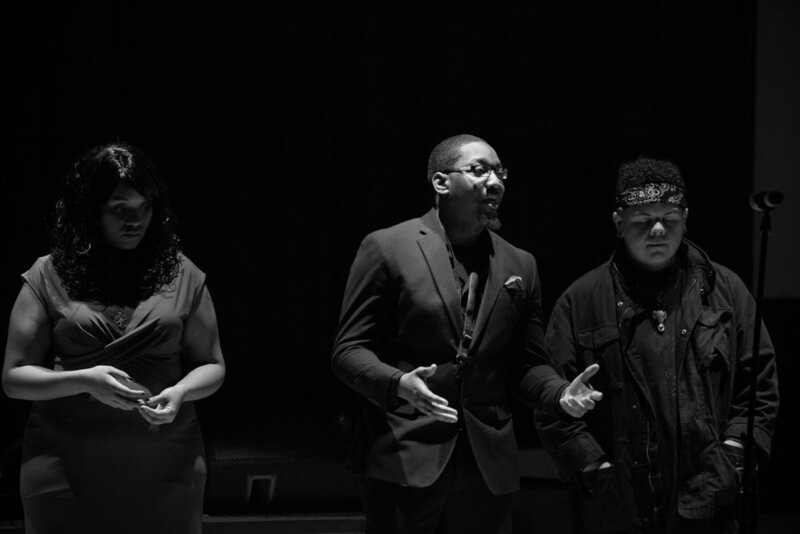 The results of election night came after a pretty awesome weekend for us here at The Listening, Inc. We hosted our final event of the year, where we presented our flagship performance group, "Spencer's Vanguard" to the community. For one night, we offered the community a living, breathing, crying, singing, dancing example of artists whose lives were changed by the arts. 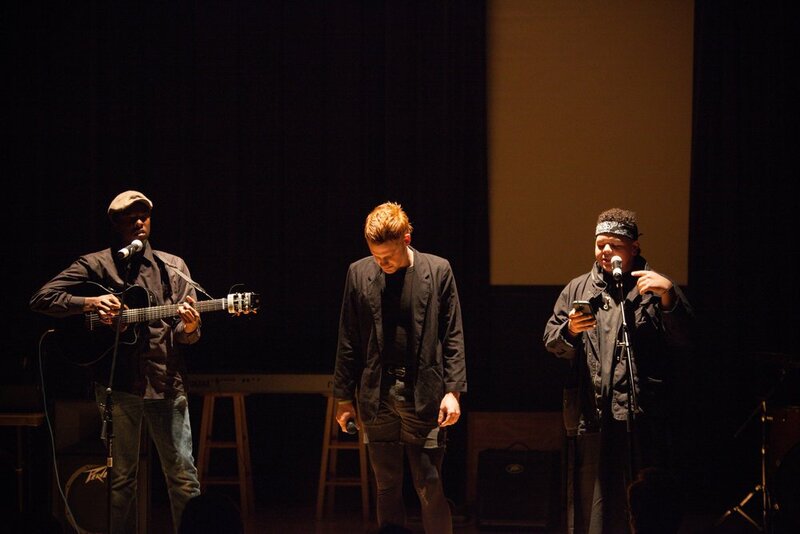 Poets, singers, musicians, and dancers got together for the "pursuit of greatness". Personally, I am still coming off the high of that night. As I write this, I am looking at a letter from the IRS, informing me that The Listening, Inc. is officially a 501c(3) tax-exempt organization. This means so many things. The biggest thing though? We have a lot of work to do. And it's time to get busy. There are a lot of people in our community with a lot of questions and a lot of proposed answers. If nothing else, this election season has brought a lot of things to the surface in our culture, our community, and our country. You know how it goes - everyone with a keyboard is a political commentator or cultural critic. Everyone has something to say, but it seems like not many people are interested in listening. Say something to listen to. We aren't here to point fingers or pull votes. We don't claim to have all the answers. Shoot, we are still figuring out what the questions are. But if we are to be a community, we need to start listening. Let's not wait for permission. Let's start living our lives on purpose. Let's use our art to make something great. Let's create something worth listening to.